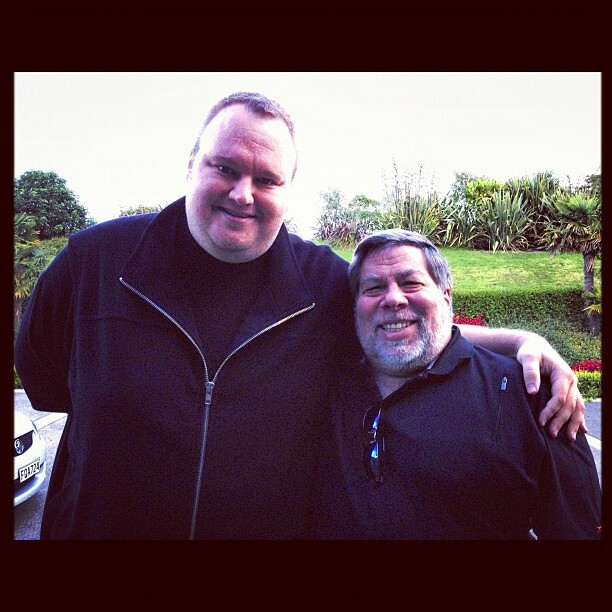 Wozniak and Dotcom pose for an image uploaded to Instagram. Though you may not have heard of Kim Dotcom, you’ve mostly likely know about his large file sharing service Megaupload, which was shut down by the United States Department Of Justice in January, under copyright infringement charges. Dotcom is now back online for the time being, and has posted the above photo on Instagram showing a meeting with him and Apple’s co-founder, Steve Wozniak. Dotcom is currently working on a new project called MegaBox, which will be an application designed to store your music in the cloud. It doesn’t appear that Woz has anything to do with the MegaBox project, visiting Dotcom only to show his support.